There is considerable uncertainty surrounding emerging contaminants in aquatic ecosystems and groundwater, and a recent Penn State study of compounds from pharmaceuticals and personal care products didn't add much clarity. But it did provide insight into the transport of the chemicals, according to researchers in the College of Agricultural Sciences. The research, which was conducted at the Penn State Wastewater Treatment plant and the University's Living Filter, analyzed the fate of seven emerging contaminants: acetaminophen, ampicillin, caffeine, naproxen, ofloxacin, sulfamethoxazole and trimethoprim. The study's goal was to track these compounds through the wastewater treatment plant and ultimately to the wells at the Living Filter to assess the removal efficiency of the plant and the ability of the Living Filter’s soil profile to provide further treatment of the compounds that persisted in the effluent. Once a week from October 2016 to March of this year, 24-hour composite samples were collected after each treatment process through the plant. Water samples were collected monthly from 14 groundwater wells at the Living Filter. The findings of the research -- while by no means conclusive -- were thought provoking and useful, according to Heather Gall, assistant professor of agricultural and biological engineering. "The study was unique in that it provided a snapshot of soil acting as a biogeochemical filter to remove some emerging contaminants," said Gall, who presented the findings today (July 18) at the annual meeting of the American Society of Agricultural and Biological Engineers, in Spokane, Washington. 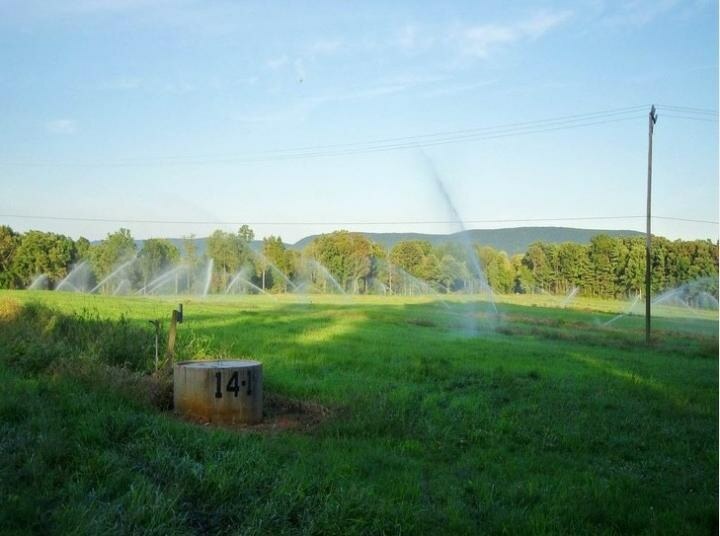 "Penn State was the ideal place to look at the movement of pharmaceuticals from wastewater to groundwater because the University has spray-irrigated all of its treated wastewater onto nearly 600 acres of agricultural and forested land known as the Living Filter since the early 1980s," said Gall. "And nearby wells allow us to look at concentrations of the chemicals that reached the relatively deep groundwater across the site." Fieldwork for the study -- which was conducted by lead researcher Brittany Ayers, at the time an undergraduate in the Penn State Schreyer Honors College -- was performed in a variety of weather conditions, which affected how the treatment plant dealt with the chemical compounds, Gall noted. Microbes in the treatment process, which break down and remove the contaminants, did not seem to be as efficient during the cold, winter conditions. Low temperatures did not appear to affect the soil's ability to filter out contaminants; however, heavy precipitation and significant snowmelt events decreased removal, meaning that higher concentrations were observed in the wells following these events. "What was interesting about this project was that these samples primarily were taken in the cold months, and we don't often see field studies done during the winter. But that happened because the research project was part of the student's honors thesis, and done during the spring semester," Gall said. "So we saw the influence of cold conditions, freeze-thaw cycles and heavy, prolonged rains." While these compounds are considered to be water pollutants, they are not yet regulated by any water-quality standards. They have been detected in surface water, groundwater, wastewater and even drinking water -- however, the long-term implications for non-target species such as aquatic wildlife and human health are largely unknown. Faith Kibuye, a doctoral degree candidate in agricultural and biological engineering, and Kyle Elkin, U.S. Department of Agriculture, Agricultural Research Service, Pasture Systems and Watershed Management Research were also involved in the research. Lead researcher Ayers graduated in May with a degree in biological engineering and is working in the water resources division of a consulting firm, WBCM, LLC, in Baltimore, Maryland. The research was funded by the Penn State Office of Physical Plant.